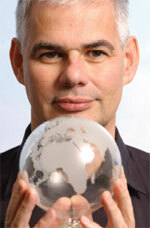 Andy Green, Chief Executive Officer, BT Global Services talks to InterComms about ongoing change in the ICT sector. 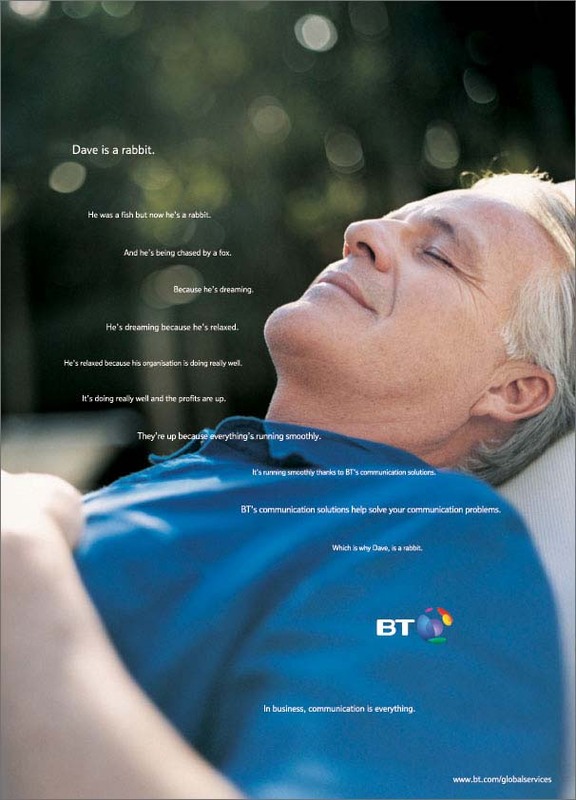 Andy has been CEO of BT Global Services, BT’s services and solutions division, since November 2001. The division has a workforce of over 17,000, capability and assets that span the globe, and generated a turnover of £5.3bn in the financial year ending March ’03. In addition, Andy is responsible for BT’s internal information systems (IS) strategy and operations. Prior to his current position, Andy was CEO of BTopenworld, BT’s mass market Internet services company. He has also been a BT Group board member since November 2001 and a member of BT’s Executive Committee since March 1995. As CEO of BT Global Services Andy has driven the transformation of the division into a sharply focused operation meeting the complex commitments and IT needs of major corporate customers across the world. With its extensive global network, strong strategic partnerships, 18 years of experience in global account management, and more than 50 per cent of its people based outside the UK, BT Global Services serves customers in all the key commercial centres of Europe, North America and Asia. BT Global Services is focused on the provision of managed services and solutions for multi-site organisations with European operations. The portfolio ranges from desktop and network equipment and software, transport and connectivity, IP-based e-business solutions and managed network services, through to systems integration and consultancy for complex global requirements. Previously at BTopenworld, Andy led the business towards a track of gaining market share and set it on the path to profitability. As Group Director of Strategy and Development for BT during the late 1990s, Andy was responsible for the huge expansion of BT’s Mobility, Internet and Multimedia businesses and also for engineering the development of BT’s global alliance strategies. Andy began his career with Shell, achieving a solid foundation in sales and operational effectiveness in the global marketplace. Later joining Deloitte Haskins & Sells, he applied his expertise across a number of key sectors including communications, manufacturing and banking. Q: What do you see as the main trends in ICT provision for large companies? A: The main trend is the “networking” of customers internally and to customers and suppliers. That is where the value is being created as we move into a “digital networked economy”. This is leading to more affordable and more creative ways of linking people and offices together, providing comprehensive access wherever people are located and richer functionality. People want to have an “office experience” no matter where they are. This is also bringing economies in that people need to travel less and there is less demand for office space. Q: Are these changes evolutions or revolutions reflecting changing mindsets? A: More evolution than revolution; there is natural evolution in changing/dynamic markets. But it is gathering pace as the “digital networked economy” really kicks in. Some companies like Ryanair for example are utilising ICT to actually revolutionise their industry. Q: What is driving productivity in ICT? A: IP networks and the use of them to get customers and employees to self-serve, to consolidate back offices where labour is cheapest and to improve productivity of computing and storage estate. Q: What do you see as valid criticism of the ICT sector and what misses the point? A: In a networked world it is Metcalfe’s law that counts. We are all too closed in our mind-set. We need to invest to allow our products to interwork and collaborate with others and to be more “open” to wholesale markets and to open interfaces. Q: The sheer cost of IT projects is bringing the issues up to the Board Room. How is this affecting what is done with ICT? A: That is a very engaging subject especially where savings drive through to the bottom line in balance with upfront investment. This means lots of people have views/opinions from CFO, to CTO to CEO; it takes time for people to understand and appreciate and also realise the benefits of ICT implementation. It is not just about a few quick wins, but more about building partnerships for the long term. Some get it, some don’t. But if a company doesn’t have an ICT strategy to remake its business in the Digital Networked Economy, it needs to worry. Q: How is BT changing its strategy to exploit these changes? A: BT is already one of the biggest suppliers of ICT services to large organisations in the UK and across the globe. It has already established credibility within the finance, manufacturing and public sectors. This is demonstrated by large outsourcing contracts with Unilever, Honeywell, the German Ministry of Finance, the European Central Bank, the Bavarian State Government and the NHS in the UK. BT's strategy is to build on its strong relationships with large customers and bridge from its traditional core to growth sectors via adjacent products and services. Q: You have said that you are concerned by what you have called ‘a post-dot.com lethargy’ in the telecoms sector regarding ICT. Can you explain what you mean by this and why this is a problem? In short why does ICT matter? A: After the dot.com crash there is a certain nervousness to invest. There is a need to rebuild confidence with many customers after they got burned last time around. Any decision now involves a number of people around the board. There are more checks and balances in place and more people to influence and shape the decision. Any investment calls for more robust analysis, but also as a consequence some people are feeling that perhaps due to their previous experience ICT is no longer so important to their business. This is a horrible worry now. The critical point is to work out how ICT and business strategy will work together to re-invest in the value chain in almost every sector. Q: Are we now in a digital networked economy? Do many people share your views that we are and what should companies be doing to exploit this change? A: Absolutely – this is a major topic of discussion in ITC. It also came up in Davos at WEF; it is important to understand the rationale behind a digital networked economy, and how this can benefit companies, governments and countries. Think of the changes to the music industry, book retailing, airlines, employment in India etc. It’s here, it’s today. Q: Where are you seeing the biggest cost reductions in ICT and why? A: The largest reductions are in connectivity bandwidth, making the sharing of information among teams so much more cost effective; outsourcing of core/non-core activities to other specialists who can do them more effectively at greater scale is also a great consideration. The cost of effectively managing the supply chain is simpler and cheaper with an effective ICT policy; and ICT enables scarce skills to be shared more widely throughout an organisation. Q: Should our understanding of what is meant by the digital divide also change? A: For over two decades, technology vendors have been supplying businesses with information technology (IT) systems and services that have had a huge impact on the way people do business all over the globe. In the last five years however, new technologies have emerged that have changed the way people need to think about how they run their companies. Information communications technology, or ICT, has become a vital part of the armoury of any organisation. The distinction between this and ordinary IT is huge. ICT is not just about computing power and systems; it is about helping organisations to communicate effectively with all their business partners, and turning data into useful information, rather then simply processing it. Inevitably, some companies have taken longer than others to understand the benefits of ICT. For every company that recognises that it can make their interaction with business partners faster and more effective, improve customer relations, and cut costs and save money, there are others that are still enslaved to old-style IT and its inflexible nature. A gap is opening between companies that use ICT effectively and those that don’t; and a bigger, more worrying divide is emerging as America and Asia outstrip Europe in productivity and profitability. Research published by the World Economic Forum (WEF) in December 2003 showed that the US in particular is using technology to boost economic growth more effectively than any other country in the world – and that other governments and companies need to keep investing in IT if they want their economies to flourish. But if anything, intelligent deployment of technology is decreasing in Europe, rather than increasing, with some potentially disastrous consequences. Q: Has there been progress on eliminating the divide, however you see it? A: Unfortunately, the true digital divide as I see it is widening. And why is this? Some people say that ICT is a way that they can strategically enhance their business, while others see it merely as a commodity, a standard part of business expenditure that is available to anyone with the money to spend on it; and that the real challenge now is to improve productivity by reducing associated risks such as security and ill-considered investment. Others know that ICT is as important as ever, but don't know how to knit it into the business model more effectively. Either way, the fact is that the failure to take it seriously is costing European businesses dearly. American and Asian companies are embracing ICT and, as a result, are more productive and efficient, growing faster than their European counterparts. Unless Europe takes the same approach, it risks being left behind in the race to keep its businesses competitive. Q: What do you see as the role of a CIO? In a networked architecture would it be a misnomer to give someone a hierarchical title? A: ICT has become an organisation-wide issue, not just one for the CIO; The role of the CIO will be different in future – very much in partnership with the CEO; perhaps more commercial than technology focused. Q: In ICT provision enterprise is often synonymous with Corporates. How does your view or model differ if at all when it comes to non-Corporates, particular national, regional and local government? A: For us the same issues apply with national, regional and local government; I talk regularly to government bodies and the same issues are being discussed – how to use ICT to make information more widely available; how to reduce the cost of access to government; how to share scarce resources and skills. In 2001 BT and Liverpool City Council announced a unique partnership designed to slash town hall red tape, improve customer services and at the same time safeguard hundreds of jobs. The partnership marked a first for local government in Europe and saw the first large-scale secondment of employees from the public to the private sector. The undertaking was made up of all of the Council’s ICT services and its call centre – Liverpool Direct. The deal paved the way for continuous investment in modernising long-neglected services and achieving the Council's ambition of putting the citizen at the heart of everything it does. Q: Does simply having a network generate collaboration? What else do you need? Is it wrong to think – ‘Build it and they will come’? A: You need much more than a network. We are now entering the concept of partnership – we can offer our customers global reach by partnering with people who have the depth and reach in that area. BT itself has a broad and deep pan-European network which we can use for our own customers and which we can also offer on a wholesale basis to other companies - not only carriers, but systems integrators, IT services suppliers etc. Having a network offers the chip to bargain; for multi-site corporate customers we need much more than just a basic network, so we are always looking for a quality network that can provide organisations with the value-add that they are seeking. We also need strong customer relationships – we need to earn their trust and to demonstrate that we have an appreciation of their business and business needs going forward, and that we have an innovative approach to technology. For our customers and people you need a culture change, an “openness of mind” and a desire to collaborate that will deliver value. Q: How is the move to greater mobility of personnel changing the model? A: It means we need to think more flexibly, and to incorporate elements like PDA/3g etc within solutions; people are becoming more demanding at home and at work, people need an office-like experience from wherever they are working. ICT needs to take account of this and companies need to understand that work is something you do, not somewhere you go.